Promoting safe workplace behaviour is not always easy. Worksites all have unique challenges that are continually evolving. Our automated COR™ friendly workflow brings safety and worksite intelligence together. Worksites get smarter and safer when everyone is involved. 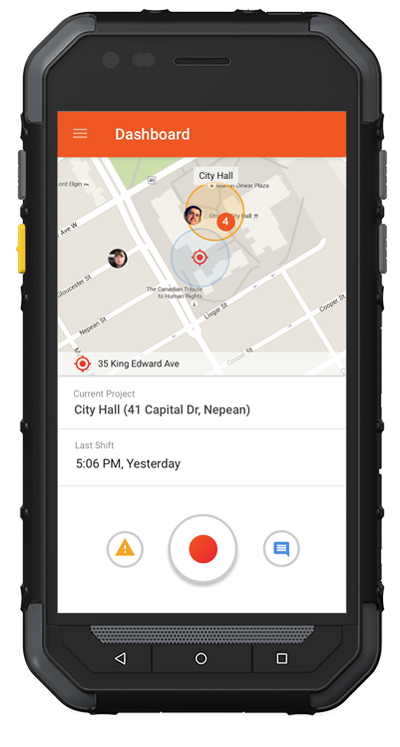 Punchtime connects your entire team to worksite safety from their smartphone. Employees can review job safety information before they start working and throughout their shift. Safety is an important value for all workers and employers. With Punchtime, all employees can report hazards as soon as they are identified, avoiding gaps in awareness. Incident reports can also be sent in as they happen. 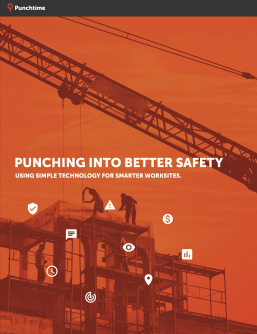 "Punching Into Better Safety", a Punchtime white paper tells the story behind this innovative health and safety solution. Leave us your email and let’s improve the future of worksite safety and compliance together.